C&IT hosts an internship program that offers Wayne State students the opportunity to gain firsthand IT experience. Students work in different areas across C&IT, learning application development, network engineering, supercomputing and more. Interns are intially hired for one consecutive fall and winter semester, with the possibility of an extension into spring-summer. Select participants will have the opportunity to apply for additional years. 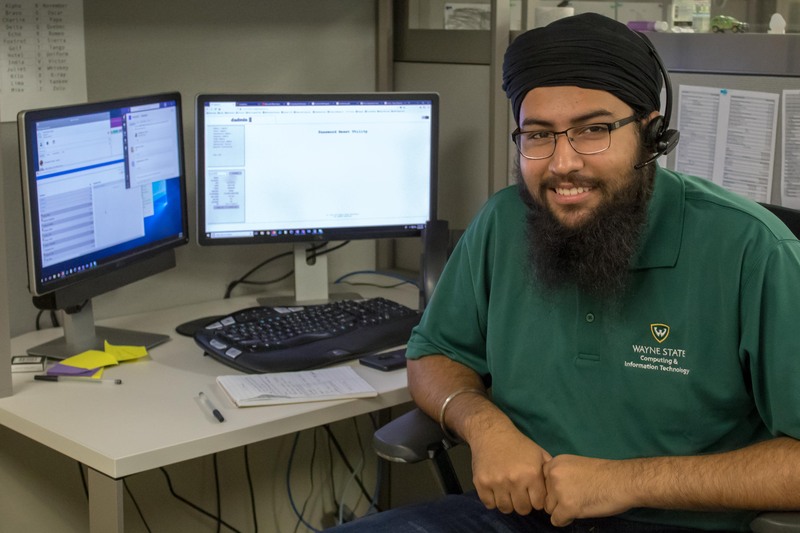 The program focuses on a different goal every year and leads students to a specialized intern position, while also giving them a chance to learn about other C&IT departments. Interns rotate through different areas of C&IT, working with two departments for 10 hours each per week (20 hours per week total), changing per semester. Interns who are asked to return for a second year are assigned a main department, with the opportunity to assist in other departments a few hours per week. Interns who are asked to return for a third year are assigned to a specific department for 20 hours per week.